For the latest updates in the solar industry, please sign up for our mailing list. ​For all media inquiries or to arrange for an interview, send an email to Isabel Payne at isabel@cansia.ca. The Canadian Solar Industries Association is a national trade association that represents the solar energy industry throughout Canada. Since 1992, CanSIA has worked to develop a strong, efficient, ethical and professional Canadian solar energy industry with capacity to provide innovative solar energy solutions and to play a major role in the global transition to a sustainable, clean-energy future. ​For more information, visit www.cansia.ca. The CanSIA logo is the official mark of the association. You may not alter the logo in any way. Furthermore, you agree that the use of the CanSIA logo or name on any of your documents in either hard or soft copy format is not implicitly or explicitly an endorsement by CanSIA of your product or service(s).The full colour versions of logos are to be used in all cases except when the use of full colour is not achievable. For example, you would use the black version of the logo when creating an advertisement to be printed in black and white. As a member of the Canadian Solar Industries Association (CanSIA), specific member logos are available for use. Please login to your member account and visit the “Marketing and Advertising” webpage. If you have any questions, please contact Lisa Hatina, Business Development and Member Relations Manager, at lhatina@cansia.ca. Please click on the logo below to download the image file. 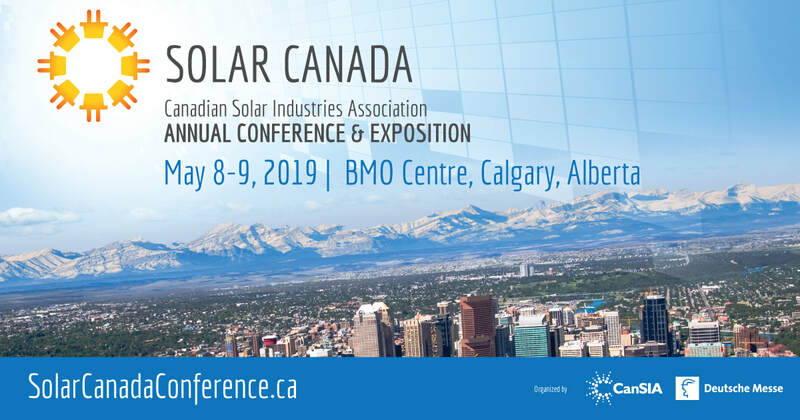 As part of CanSIA's role of facilitating and promoting the responsible and sustainable growth of solar energy, the Association regularly hosts the largest and most influential solar industry events across Canada. Please feel free to share and/or promote upcoming events by downloading the promotional image to the right. John Gorman has been President and CEO of CanSIA since March 26, 2012. 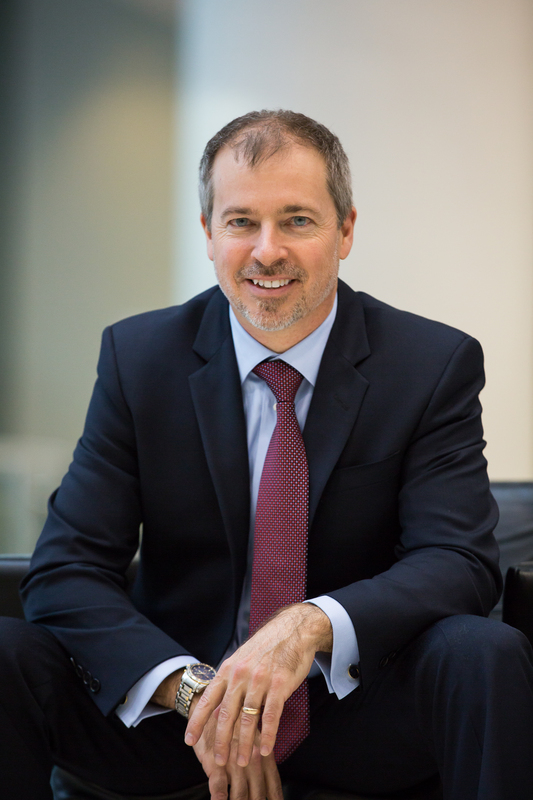 Mr. Gorman is Canada’s Designate to the International Energy Agency (IEA) - Executive Committee (PVPS) and sits on the Executive Council of the Canadian Council on Renewable Electricity (CanCORE). He also sits on Ontario’s Climate Change Advisory Panel. John has been recognized as one of Canada’s CLEAN50 and is the recipient of the “40 Under 40” business award for excellence in business practices. Implementing CanSIA's Roadmap 2020 will achieve two primary objectives. It will solidify solar electricity as a mainstream energy source, and an integral part of Canada's diversified electricity mix. It will also ensure the solar electricity industry will be sustainable, with no direct subsidies, and operating in a supportive and stable policy and regulatory environment that recognizes the true value of solar. Public polling commissioned by CanSIA demonstrates that solar energy is viewed as playing an important role in our energy-mix by Ontarians who also want to see continued emphasis placed on solar energy by policy-makers (as reported in the Globe and Mail). 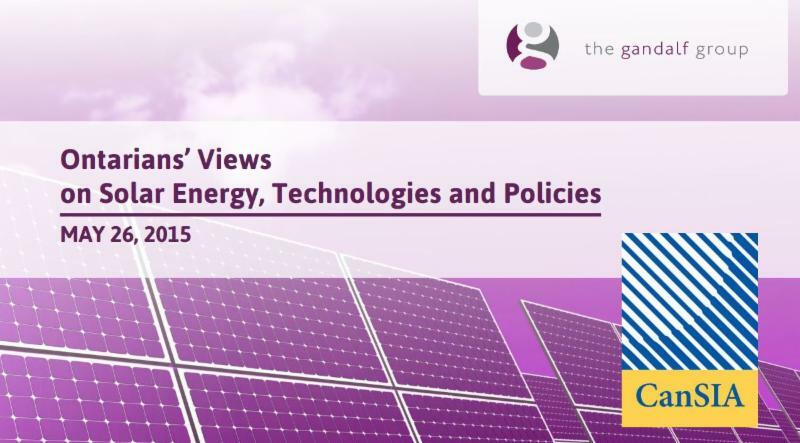 David Herle the Principal Partner with leading polling and research firm The Gandalf Group and nationally recognized leader in public opinion research delivered the results to attendees at Solar Ontario 2015 (Presentation, Audio). While some question whether the public would still support solar if they considered our industry's environmental footprint, most understand that while solar power isn't perfect, it's the best we've got.